Home PBB 737 PINOY BIG BROTHER RYAN JAMES BACALLA TELEVISION Pinoy Big Brother PBB 737 Housemates: Gay teen housemate revealed! Pinoy Big Brother PBB 737 Housemates: Gay teen housemate revealed! Pinoy Big Brother (PBB) 737 housemates are being revealed one by one starting today, June 15, 2015, until the PBB house officially welcomes its new housemates on Saturday, June 20. Earlier on It's Showtime, one of the PBB 737 housemates has already been introduced to the public, and he is surprisingly a gay teen housemate named Ryan, dubbed as the "Kid Sunshine ng Cebu". His face though wasn't fully revealed in his first TV appearance. But the pictures I got show how he looks like, and he's actually a cute gay teenie. His complete name is Ryan James Bacalla. 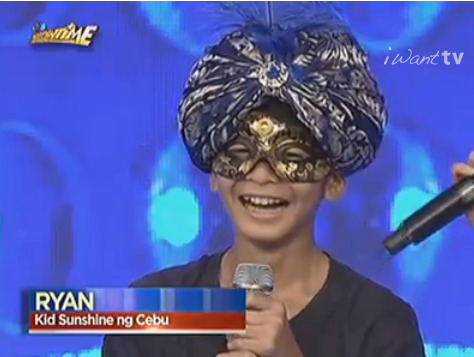 Ryan looks so young, he's only 14, one of the youngest housemates this edition. And he hails from Cebu, where 3 of the past 11 PBB Big Winners came from: Kim Chiu, Keanna Reeves and Slater Young. He admitted to Showtime hosts Vice Ganda and Karylle that he is gay. Cool. PBB 737 is certainly gonna be fun. 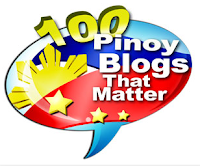 Ryan is the 5th from the LGBT community to become an official PBB housemate, after Celebrity Edition Season 1's Rustom Padilla, who outed himself inside the house and later become BB Gandanghari after PBB, transgender Rica Paras during PBB Double Up, lesbian Divine Maitland-Smith during PBB Unlimited and Fifth Pagotan, who admitted he's bisexual during his stay in PBB All In. We'll get to know more of him later on TV Patrol and on Aquino & Abunda Tonight.